Members of Xbox's game subscription service can dive into the mega-popular sandbox game next month. Microsoft debuted its Xbox Game Pass subscription service in 2017, allowing players to pay one monthly price ($9.99) for unlimited access to an ever-increasing number of games (ranging from family-friendly to mature). Xbox Game Pass can easily be described as Netflix, but for games, instead of television shows and movies. New games are added to Xbox Game Pass on a regular basis, and April will see a huge title added to the catalog. Minecraft, the sandbox building game that became a phenomenon following its official launch in 2011, will be added to Xbox Game Pass on April 4. Minecraft on Xbox Game Pass will have all of the same features players may be familiar with from playing the game on other platforms (including the standalone release on Xbox One). That is, players will have the freedom to explore a massive in-game world, and collect resources to construct whatever their imagination can think up. The game will support cross-platform play, allowing players to interact with others across multiple platforms — everything from PC and Switch to mobile devices (with the exception of PlayStation 4). Players will also have access to the in-game store, called the Minecraft Marketplace, where they can spend real money to purchase extra in-game content. 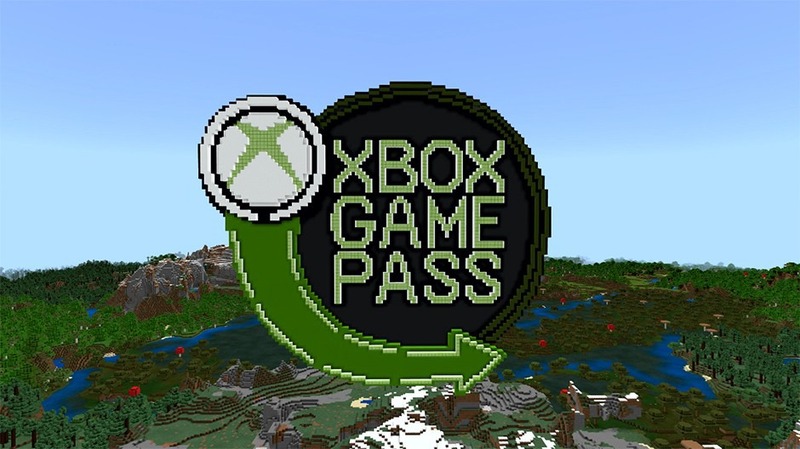 Minecraft is the latest family-friendly game to be added to the Xbox Game Pass catalog. Pulling from the Xbox, Xbox 360, and Xbox One game libraries, kid-friendly games like The Lego Movie Videogame and Disneyland Adventures are available alongside mature games for adults and parents to enjoy when the kids aren’t around (recent M-rated highlights include Just Cause 4 and Shadow of the Tomb Raider).